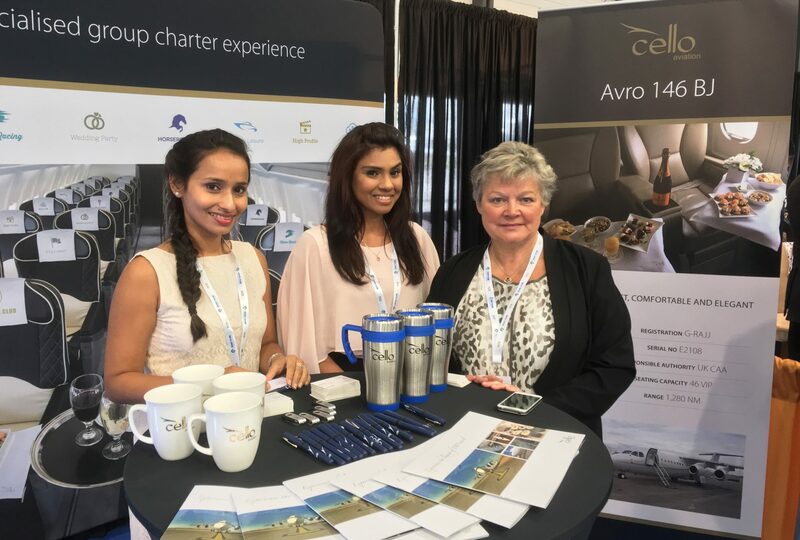 Design Inc were pleased to support Cello Aviation at Biggin Hill Airport for BACA’s Air Charter Expo 2017 (ACE17). 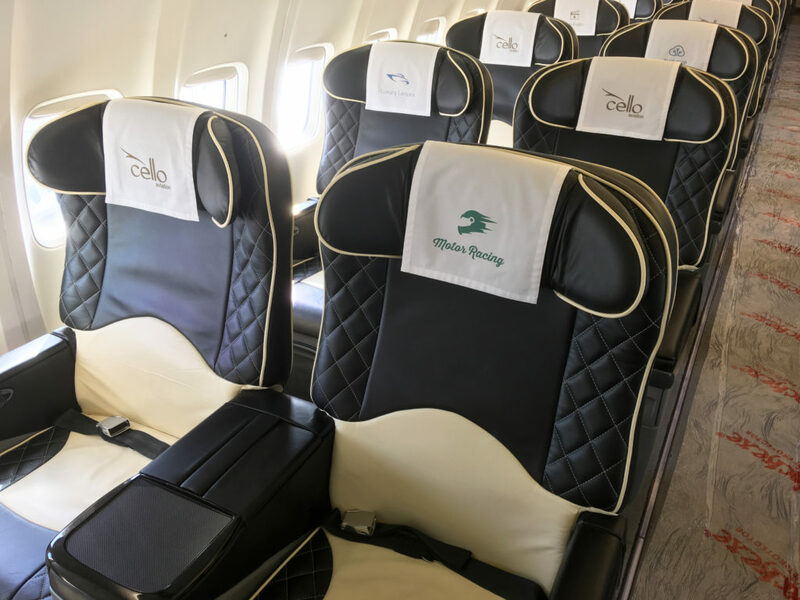 In addition to the development of display graphics for a booth stand within the main exhibition hangar space, the company’s Boeing 737 BBJ aircraft parked on the apron was also kitted out with tailor-made headrests sporting icons designed specially by Design Inc to represent Cello Aviation’s core charter markets. These icons have become a brand asset and subsequently been used in other areas of Cello’s marketing. 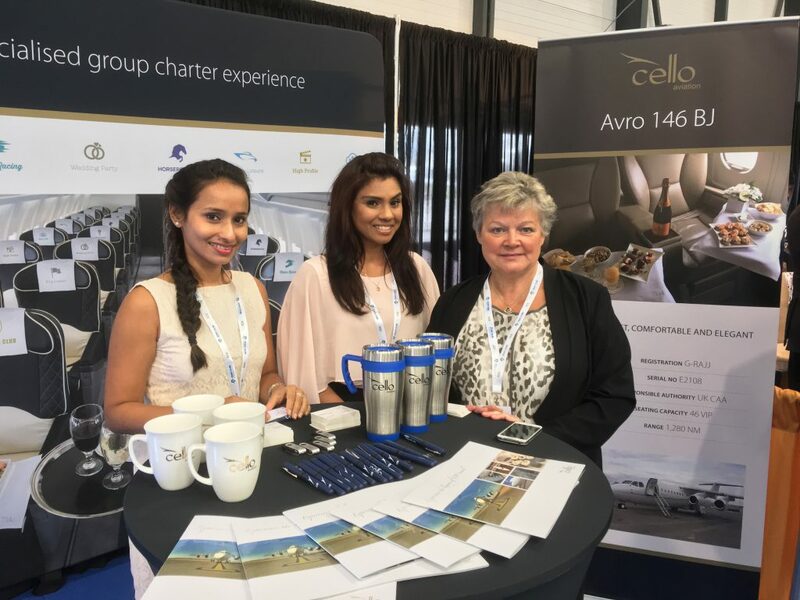 The last couple of years has seen Air Charter Expo go from strength to strength and emerge as he UK’s leading air charter event. Design Inc is pleased to include BACA as a long standing client and highly values the briefings, news and networking that membership provides.